A photography workshop in Italy could not be based in a more appealing place than Ovieto, in Umbria, but on the borders of both Tuscany and Latium. Orvieto is an ancient city going back to pre-Roman Etruscan times, on the top of a volcanic rock surrounded by hills covered with vines and olives, and in the distance the snow topped high Apennines. It is noted for its wines, especially the Orvieto Classico which I am reliably informed can even be found on the remote Caribbean island of St Vincent. 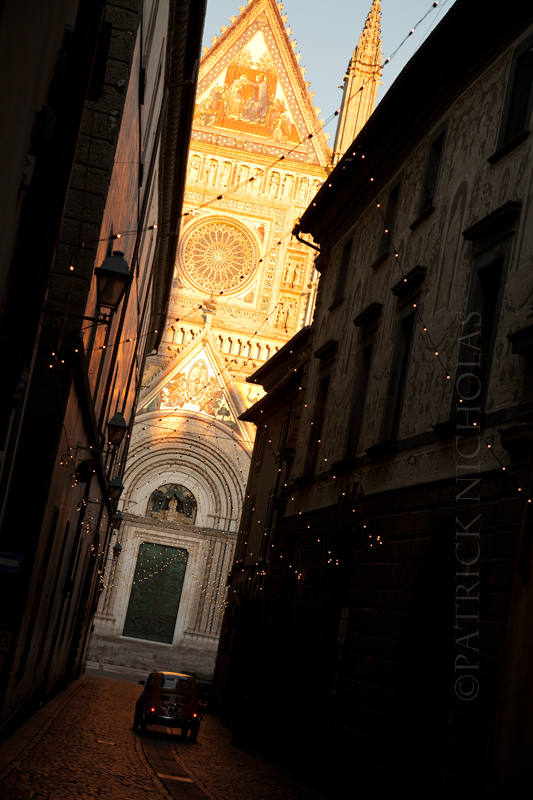 For a city with a population of less than 20,000 Orvieto seems a very grand place. This is because it was used by the pope and his court in times of trouble and enriched with very grand palazzi by the aristocracy. Less than an hour from Rome, it is a bustling place full of street cafés, restaurants for most tastes and pockets and smart shops frequented by equally smart, good looking Italians – there are a few scruffy tourists as well. The centre is largely pedestrianised and there is not a single traffic light in the entire city. 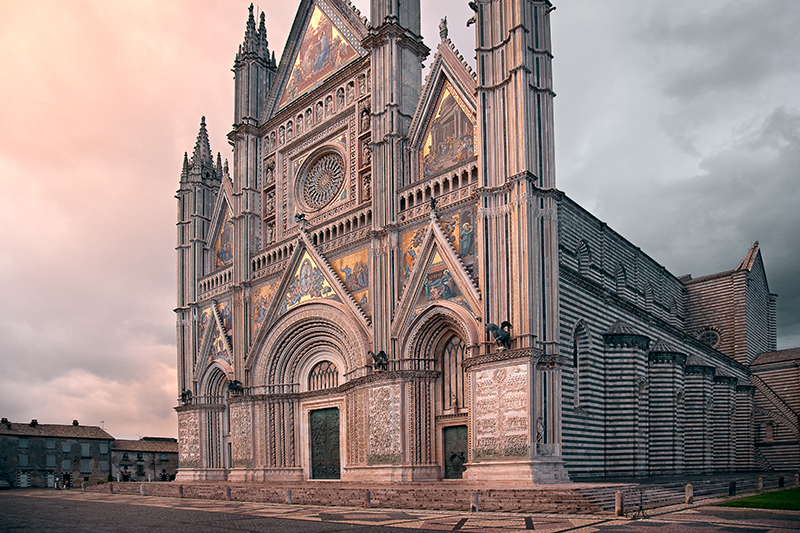 Orvieto is best known for its mediaeval cathedral, the finest gothic cathedral in Italy dating from 1263. The facade of the cathedral is quite unique with mediaeval bas-reliefs, bronze sculpture and fine mosaics which glow in the evening sun. The sides are an austere black and white stone similar to the duomo of Siena. The Brizio chapel within is an inspiration to artists and photographers with a ceiling by Fra Angelico and an unrivalled series of frescoes by Signorelli which inspired Michelangelo when he passed by here before beginning the Sistine Chapel in Rome. 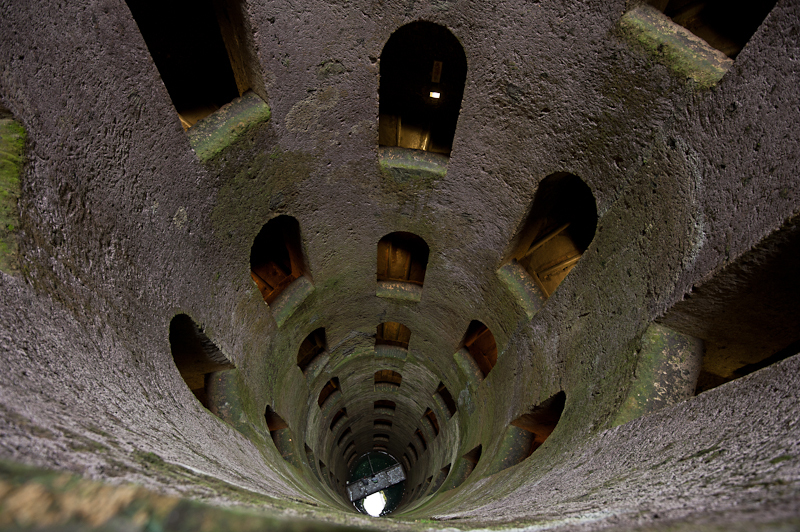 Italians know Orvieto for its famous well, the well of St Patrick. Constructed in 1537 with a double helix of 248 steps so that the donkey going down did not meet the donkey coming up. It is a masterpiece of Renaissance engineering by Antonio Sangallo. The well is a perfect place to practise photography under low light conditions with a broad contrast ranging from the bright sunlight pouring down the shaft and the gloom of the stair well. 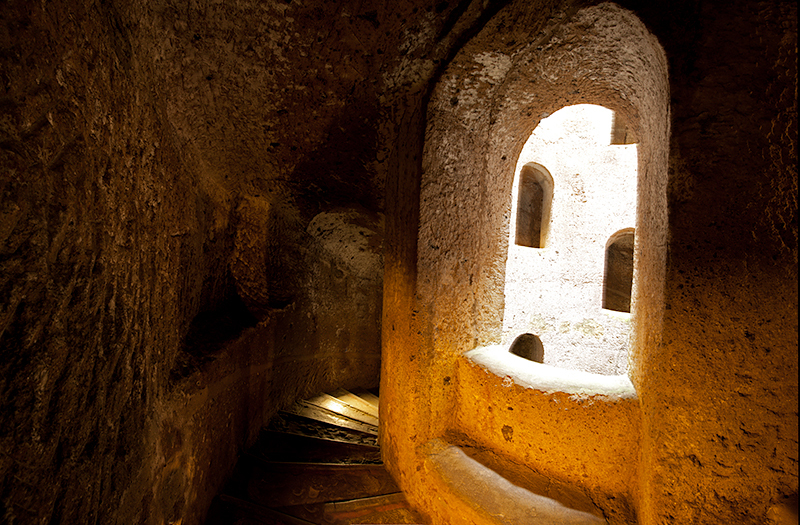 Orvieto is girded by city walls, fortresses, towers and gatehouses. You can walk the entire circumference below the walls on an easy, well made path in a little over an hour – there are stunning views across the Umbrian countryside towards the Appenines and the golden hills of Tuscany a mere 20km away. You will also come across Etruscan cemeteries including the unique Cimitero del Crocifisso with its streets of curious tombs built of Tufa stone to resemble the wooden houses of the Etruscans – an eerie place on a foggy morning in April or October. 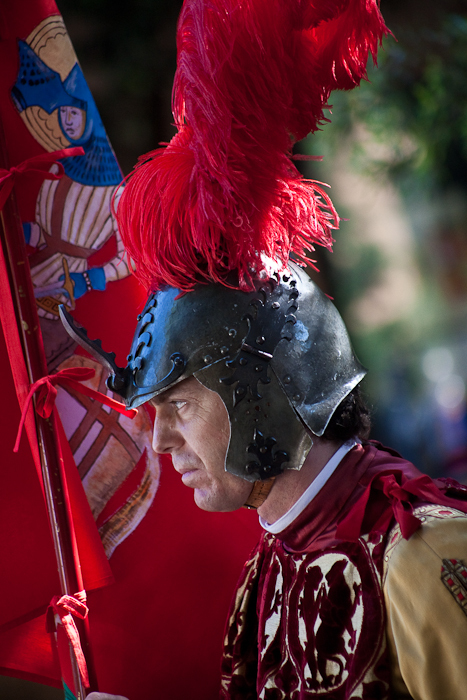 Orvieto is famous too for its festivals. 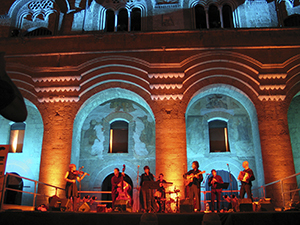 In winter over New Year’s there is the world renowned Umbria Jazz festival; in August the Umbria Folk Festival and in June the colourful pageant of the Corpus Domini when the townsfolk parade through the streets for two days in June dressed in Mediaeval costume. For those who love markets there are two a week on Thursdays and Saturdays in Piazza del Popolo. I would like to see the view from where Turner did his painting. Any directions? including where the tree is you planted. Thanks. Hi Kevin! 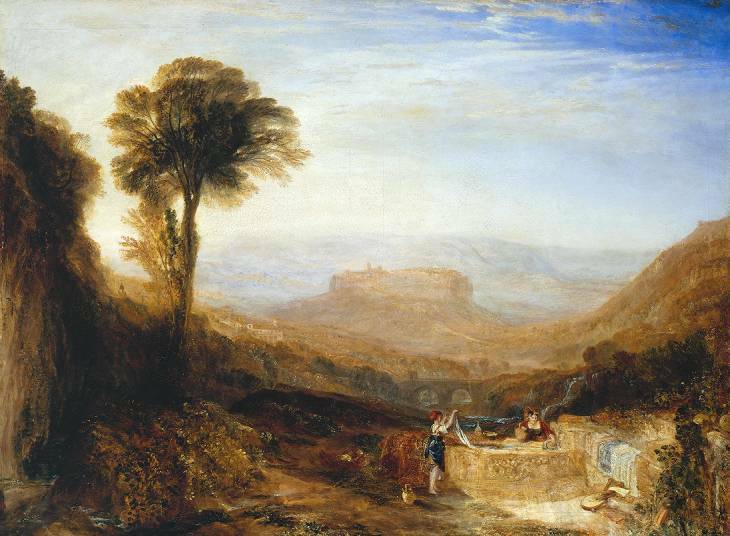 The Turner painting done in Rome was based on his sketch done on the spot, most likely near the stream at the top of the road near where it is blocked off. In fact there is a washing place in the foreground of the painting. My umbrella pine is futher down the hill in a private garden on the left. There is an antique gothic style gate (fenced off as it’s in danger of collapse) leading into the garden. It is currently about 3.5m tall, it should become reasonably visible in about 5 years. This is the second tree I have planted along the road, the first was chopped down within months!